Improve your Credit, Improve your Life! The key to getting the best rates available, and keeping the most money in your pocket, is to keep your credit score in check. Let that get out of hand, and you’ll be paying the price with higher interested rates, and more rejections. Improve your score, and improve your life. 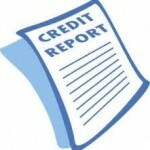 Your credit score is one of the most important factors when considering any major purchase. Don’t make the mistake of negotiating without it. Get your Free Credit Score now! If you have bad credit, you are going to always be getting the highest rates. Get out of that cycle. Improve your score by a few points could save you hundreds.